This isn't the first time when we hear news about Intel entering the smartphone scene with a processor of its own. However, what makes today's news unique is that we are finally given a glimpse at what an actual Android smartphone with an Intel chip inside may look like. The guys at Technology Review got to play with a prototype unit like the one you see depicted below. 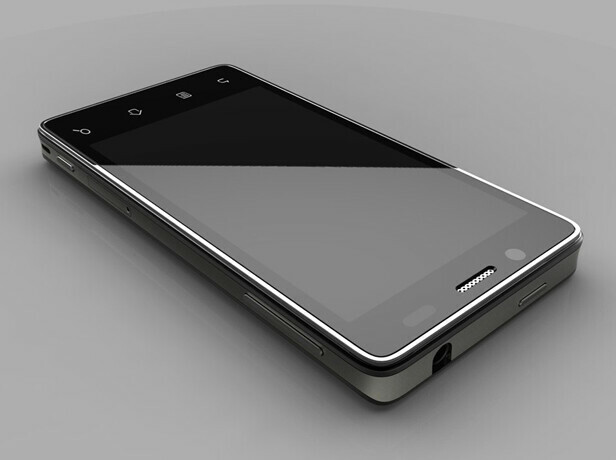 Reportedly, the smartphone has an Atom processor, codenamed Medfield, under its hood and runs Android 2.3 Gingerbread. What is said about the device is that it is similar to an iPhone, both in terms of looks and dimensions, but it is considerably lighter due to the use of plastic over glass and metal in its construction. And as far as its performance is concerned, the prototype handles high-definition video playback, wireless streaming to HDTVs, and surfing the web without a hitch. It is also mentioned that the Medfield chip is optimized for running Android apps and smooth web browsing. Of course, the device you see here is just a “reference design” that manufacturers may use as a starting point to build their Intel-based smart devices around. An actual handset or tablet with the same Medfield chip inside might end up looking nothing like it. Speaking of which, it is hinted that news regarding the devices, in which the chip will debut, are likely to be unveiled at CES next month, and an actual device will be announced within the first half of 2012. (blinks twice)...is that a galaxy S 2 on top of a iphone 4? I just want a report on the compatibility of x86 processors with ARM-designed apps. That would be an interesting topic, right? If I'm not mistaken, I believe almost all applications on Android are written using Java, unless they use the native development kit (which is written in C/C++). The one benefit to using Java is "platform independence" (meaning applications can run on any hardware that is built into the Java Virtual Machine). Therefore, if the Android OS is ported to other processors (in this case Intel instead of ARM, but could be PowerPC, SPARC, or others), then the Java virtual machine is probably ported as well. Unless syntax processing or the Java language version changed in the virtual machine, then the byte code should execute as before. Dalvik is integral to Android, and Android cannot be ported unless Dalvik is ported. I don't see any reason for Google to change the Java interpreted version in Dalvik, nor syntax processing. As far as applications written on the NDK, well, that is a different story. Intel x86 instruction sets are different than reduced instruction sets that ARM processors use. Each application will need to be recompiled and any dependencies resolved before the application is deemed x86 compatible. So I guess what I'm trying to say is this: If the application is written in Java, I'm going to bet that over 90% of the applications work on Intel processors. However, if the application is written in C/C++ on the NDK, then it more than likely will not work without performing a code recompile at the very least. But since most applications use Java, I don't see much of a problem for a majority of users. Intel should not have tried to come into the mobile platform with X86 chips. I am wholey against this maneuver unless they can prove otherwise. We are going to see so many app compatibility issues and force closes its going to make the early days of android look like a dream. If they want to compete, fine competition is great... but compete with an ARM chip set design to keep compatibility at a maximum or get the heck out. good point...what would that do to "fragmentation"? 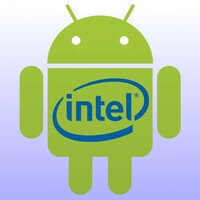 there wouldn't have to be a different version of android created for intel x86 chips then would there? like 64bit vs 32bit os? im not sure if that's a good example but i think you know what i mean..
As KineticArc has pointed out, Java and hence Dalvik are platform agnostic. While I agree it's a bit late and a bit useless for Intel to bring out a x86 chip for mobile now, there really shouldn't be anything that would cause apps to be incompatible on a Dalvik VM running on a different CPU. And to support this assertion, I had a VirtualBox VM running on my AMD Linux desktop with 2.3.3 Android in it, compiled from source. Unfortunately that doesn't come with Android Market app, so I've only looked at the stock apps. And also to support the idea that Java really is "write once, run anywere" and hence Dalvik is, the latest Android SDK tools support different CPUs, at the moment it appears to be just two ARM chips, but that could be just getting ready for multi CPU platforms. But the use of x86 chips would make more sense in a Ultra Portable Netbook device, rather than mobile. The only thing a developer needs to think of is the screen size and density. intel cooperating with an open source platform? could this be? !